Easy half day. Out of the mountains and into town. Really easy day today. 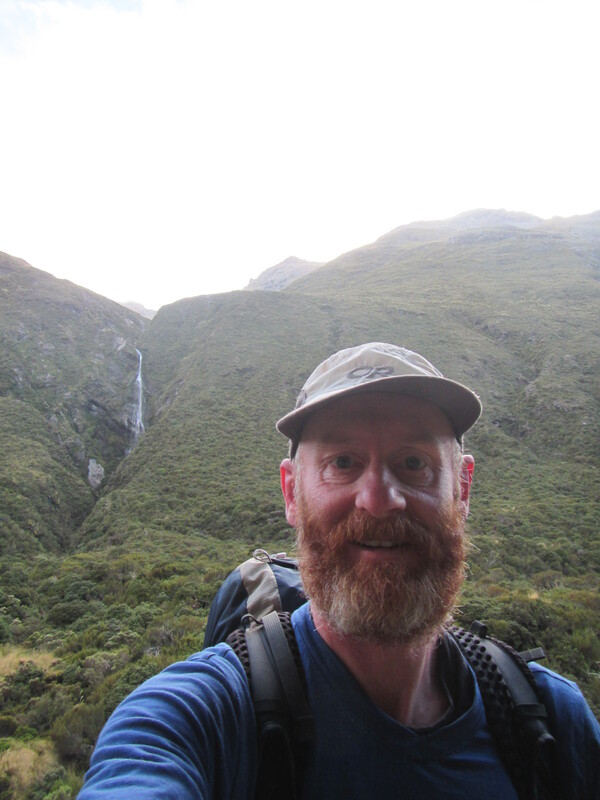 Only walking 3 hours or so from Goat Pass Hut, over Goat Pass and down the Minga River Valley to the highway. Some long strectches of boardwalk from the pass, mainly over alpine peat bogs. But mostly a repeat of the last couple of days, following rocky gravel tracks aling the edge of a river and onto a wide river valley towards the highway. Nothing much special about today so I wont bore you with a detailed description. I reached town by 10:30am. 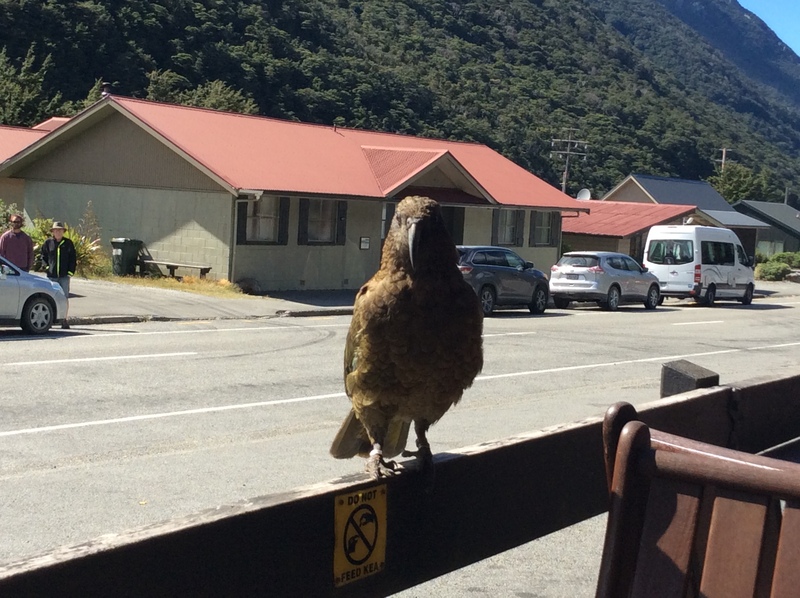 I had a food package waitng to be collected from the Mountain House in Arthurs Pass. I’m two days ahead of when they were expecting me but they had accommodation for me which was great. Coming into town on the 12 th with the coast to coast race would have been a nightmare to find a bed for the night. With only half a days walking in and a bed sorted I now have a whole half a day to rest, relax, eat lots of food, get laundry done and up date my blog. Back into it tomorrow. Once in town I quickly remembered the infamous Kea mountain parrot. Sneaky birds who love nothing more than trying to steal or tear apart camping gear. Hey Mick, its good to know where you are at. Wanted to let you know that Arthurs Pass railway station on the train from Greymouth to Christchurch is the one that I will be travelling on very soon. I’ve heard its an historic goldmine place. Bye the way, you look bloody tired mate, you might need some recovery time when you get back. Lots of love from here.